A gear adjustment and a positive ride from jockey Lynsey Satherley paved the way for the locally trained Maybeashowoff to open his winning account with a victory at Te Rapa on Saturday. 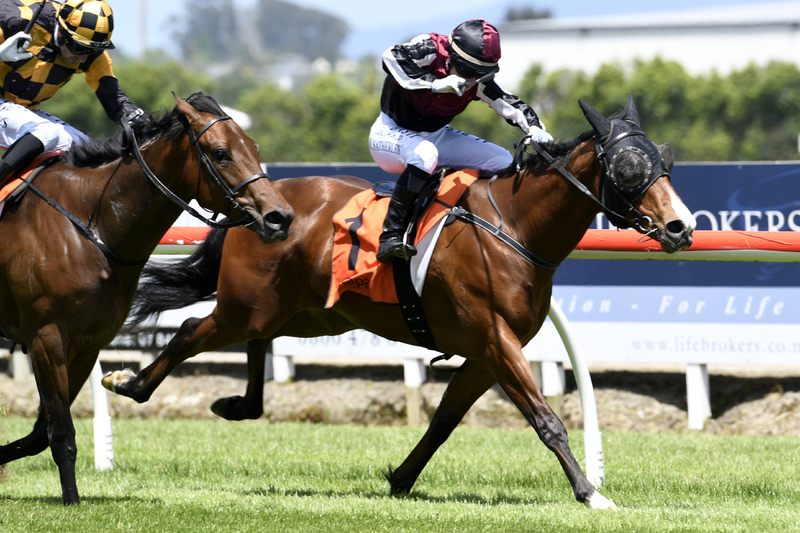 The Showcasing two-year-old looked a natural improver following a tidy first-up effort that saw him run a cheeky race over 800m at Pukekohe in September. Satherley took the initiative from barrier rise this time as she hunted Maybeashowoff, pictured, straight to the lead before controlling the pace throughout. Hugging the rail, the pair kicked clear early in the run home before holding out a strong challenge from the heavily favoured Probabeel to secure the victory by a head in a slick 58.53 for the 1000m journey. 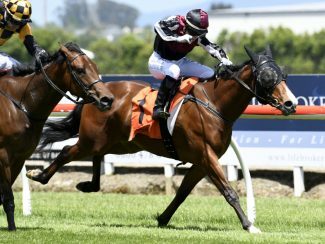 Trainer David Greene had given his charge plenty of time to get over his debut run and was quietly confident that the addition of pacifiers, plus some raceday experience, would stand him in good stead for his assignment. “He’s got a lot of speed but he was just too busy last time and didn’t breathe,” Greene said. “We’ve done a lot of work over the last five weeks to get him relaxing and the pacifiers seemed to have really switched him off. Greene praised the ride of Satherley who completed the day with a winning treble after guiding home Sahar and Polzeath later in the programme. “It was a nice ride from Lynsey,” he said. “It’s a huge advantage running on your home track for a two-year-old and when they get the rail, they can follow it.